Realizing this mission will require changes in the country’s landscape as well, and Al Mudhahka notes that there are a number of reforms taking place in this regard- for instance, the Ministry of Economy and Commerce recently launched a new mobile application where one can register a company and manage most of the official documents needed. During this stage, it can be assessed if the business can survive or not. If they succeed, the business will remain there for two years, and QBIC will have them accelerate during that time. “Therefore, by the second year, they are ready to exit the incubator. They’re always sheltered under QBIC’s umbrella, and we end up taking a lot of their risks for them. 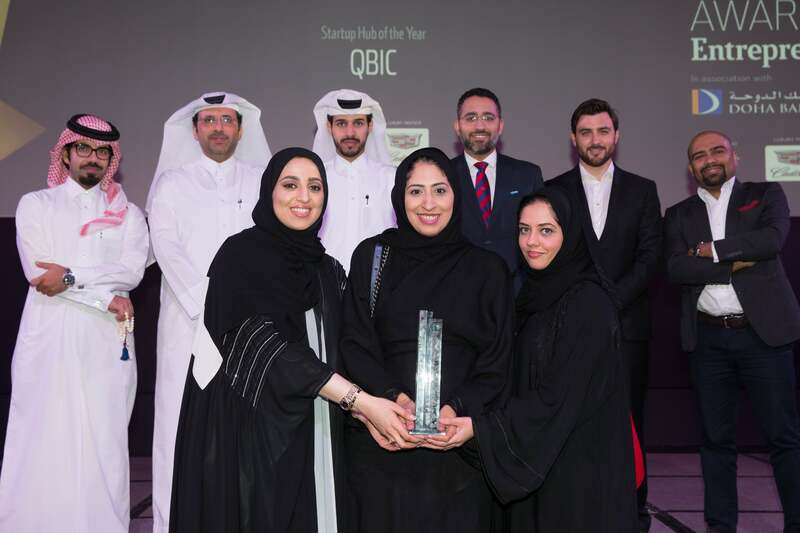 This is why we have a strict evaluation process and regular milestone meetings.” Al Mudahka reveals that till date, QBIC has incubated over 50 companies that range from a variety of different industries in the past two years. 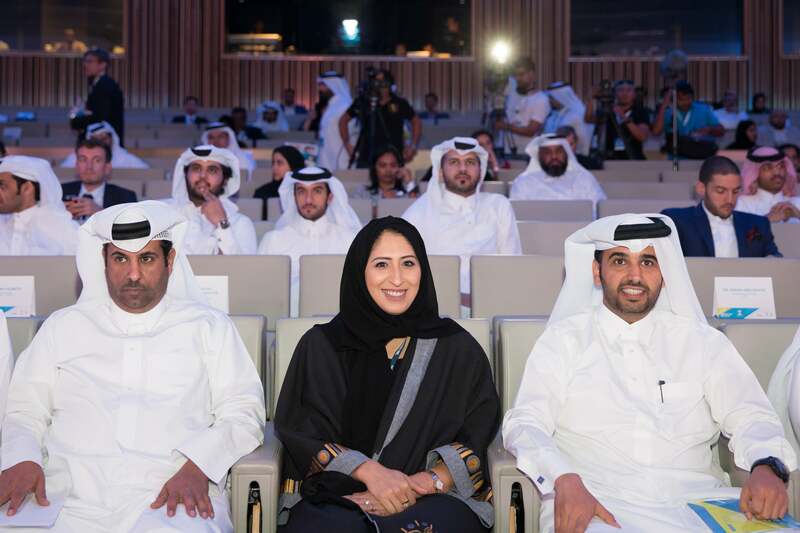 As for her own career trajectory, Al Mudahka began her professional life at Qatar Financial Center, which was then working on a new project aimed at promoting Qatar globally, as the ultimate upcoming destination for business investments. “It was a great learning experience for me, and I had the chance to network and connect with business leaders and influencers.” From there, the next destination was to Wharton Business School of the University of Pennsylvania, in the US for an executive course that lasted for a month, followed by an internship in one of the largest insurance broker companies in New York at the peak of the financial crisis in 2008. “It was a very challenging time for me to be involved in this sector, and from my experience, I decided that insurance was not the path for me.” But the stay in New York City exposed Al Mudahka to a number of startups –this included small boutiques, small projects in the field of arts, culture, social media, e-solutions, food and beverage– which inspired her to get more involved in this realm, and she ended up joining a program at Carnegie Mellon University in Qatar (CMUQ), related to corporate innovation and entrepreneurship. 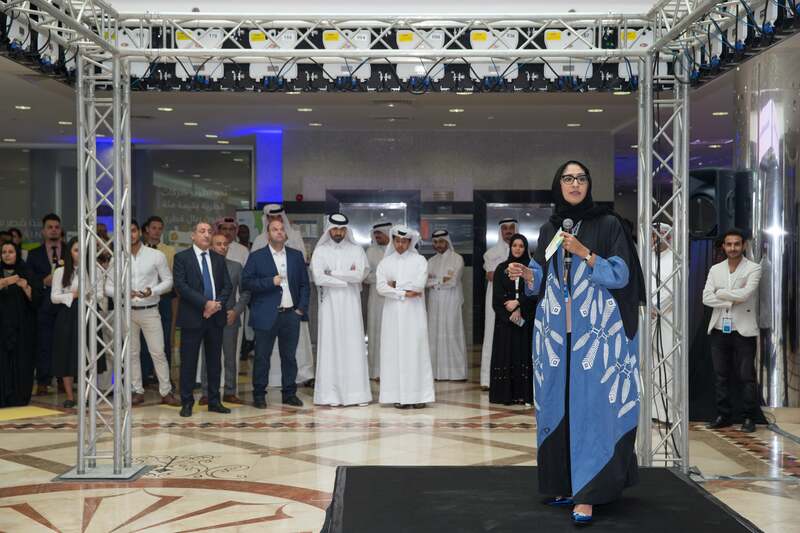 Given her current position and her career trajectory, it should come as no surprise that Al Mudahka is a role model for many women, and she doesn’t hesitate from speaking up for her peers as well. She sheds light on a white paper produced by Education For Employment in collaboration with Bayt.com and YouGov entitled, First Jobs for Young Women in the Middle East and North Africa, which says that if women’s participation in labor markets in the MENA equaled that of men’s, the regional GDP could rise by 47% over the next decade, and the MENA region alone could realize US$600 billion annually in economic impact (US$2.7 trillion by 2025). • Works with two groups of entrepreneurs - those who have an idea and would like to turn into a business; and those with an existing small-scale startup looking for support to accelerate and grow. • Provides them with free office spaces, mentoring, coaching and a chance to enroll in one of their flagship programs: LeanStartup (LSP) or the LeanScaleup (LSUP) Program, both which are based on the “lean” methodology, initially founded by Eric Ries. Also on offer are smart financing, legal support, coaching/mentoring and an equity share. • Both LSP and LSUP allow entrepreneurs to partake without having a business plan, or specific degrees required to start a business. It takes the entrepreneur’s idea, and quickly transforms it into a tangible product or service –a Minimum Viable Product- while being as cost-efficient as it can, to test it in the market to see if the product is needed and wanted by the target customers. • Offers entrepreneurs a seed fund of up to QAR300,000, which is then turned into equity shares. If a company requires additional funds then we refer them to our founder, QDB, as they have specially decided support systems and services for entrepreneurs. QBIC has partnered with Qatar Tourism Authority (QTA) to set up a specialized incubator called QBIC Tourism that will enable entrepreneurs to develop products and services to enhance the Qatar tourism experience, by providing them with unique business development tools and access to insight and guidance from QTA decision-makers. “We have incubated seven companies so far, and have received hundreds of applications for aspiring entrepreneurs,” Al Mudahka says. “We have recently partnered with Ooredoo Qatar, focusing on digital solutions,” she adds.